Warm weather may be on its way out, but that doesn't mean ice cream is off-limits. Put a seasonal spin on this delicious delicacy—and lighten things up with protein-rich yogurt—with Dayna Tappan's recipe for a cool, refreshing treat. 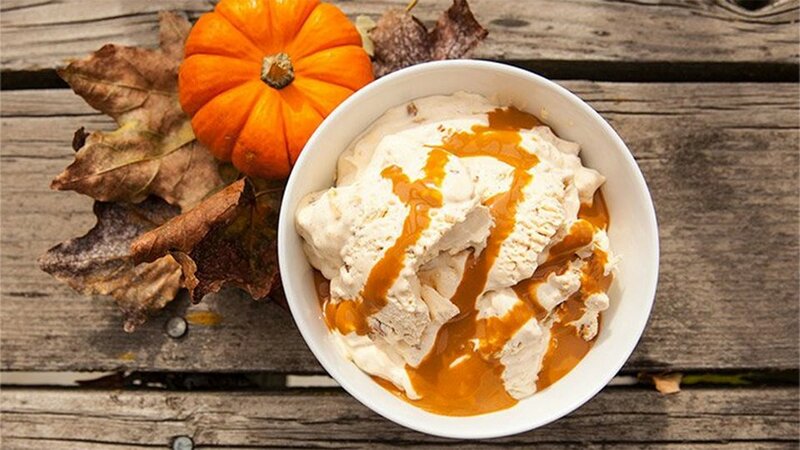 Add Truvia or Stevia and pumpkin spice to taste, then swirl in the caramel. Crumble nuts and graham crackers, and swirl into the mix. Top with caramel and enjoy!